Home / Automotive / News / Can You Drive Your 4x4 Underwater? 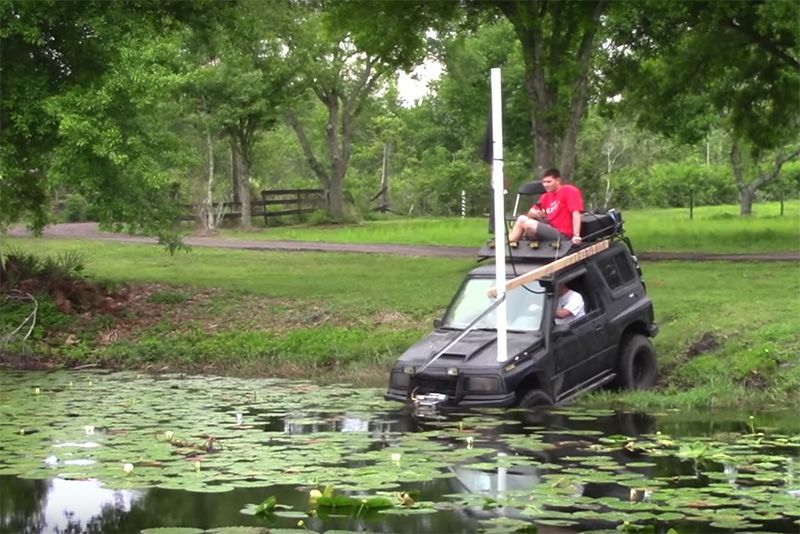 This is hilarious – can you drive underwater with just a few simple modifications to your 4x4? Well, let's find out. The YouTube channel, Cletus McFarland, is a bunch of guys who do ridiculous things with cars. In this episode, all they need is a 4x4, a super-long snorkel, a rooftop fuel tank, scuba gear and a cameraman sitting on the roof. Oh, and a deep pond. Will they make it through to the other side? Let's just say, this is a hilariously bad idea... Don't forget to watch part two!